Among the things we'll talk about are - How to "see the light" and the way it affects the image. Exposure techniques specific to photographing moving water. Lens options for landscape composition and subject isolation. High Dynamic Range (HDR) techniques for landscape photography. How to use filters to control exposure and enhance your photograph. Smartphone apps that can help you plan your photo session and maximize your time in the field. With James Neihouse as your instructor you will receive the benefit of his many years of experience as a professional image maker, with ample one-on-one instruction time in the field, as well as spirited critiques and post processing training. 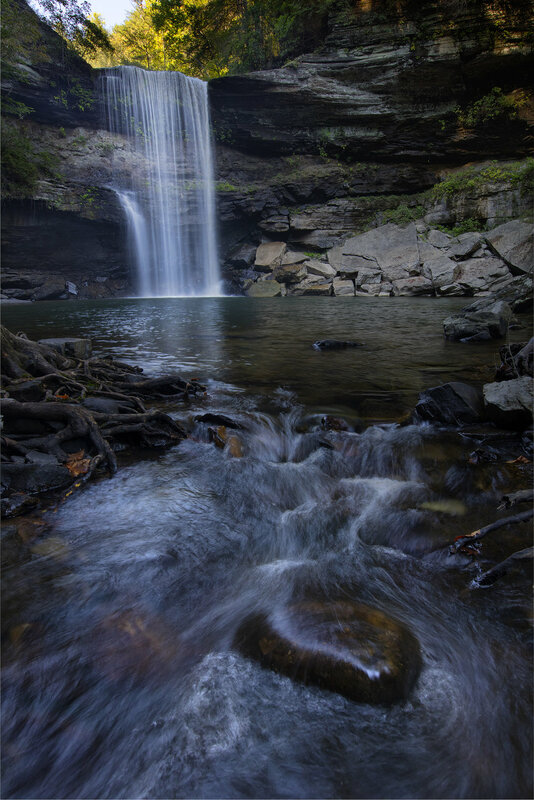 The Smoky Mountain Waterfalls Photography Workshop is appropriate for photographers of average fitness levels. During the course of each day of the workshop we will hike, on average, 6 miles. 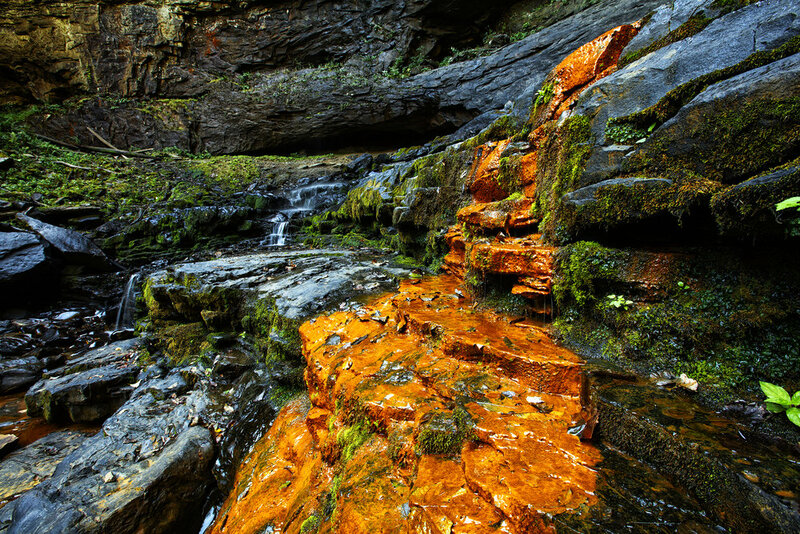 A variety of terrain will encountered, trails range from improved easy access, to forest paths, to uneven rock, due to the nature of waterfalls, it is often necessary to descend/ascend fairly steep and rocky stream banks. It is expected for all participants to be able to carry their own personal gear and water during the workshop. Field Photography Sessions, Class Session on Digital Image Processing, Critiques, and Image Print Session sponsored by Canon. Assorted drinks and snacks will be provided on days we are in the field. Airfare, hotel, and meals, are NOT included in the workshop fee. Once you have reserved your workshop space we will send information on the workshop hotel(s) and booking information. One or two camera bodies, may be digital or film. You may choose to pay in full for your workshop, or until January 29, 2019 you my secure your spot with a $500.00 deposit. When you choose the deposit option the balance of the workshop fee will be due on January 29, 2019.